I build personas as part of the UX strategy process to help put a name/face on different customer segments and build empathy among project teams. I've created and used personas in various formats throughout my career. 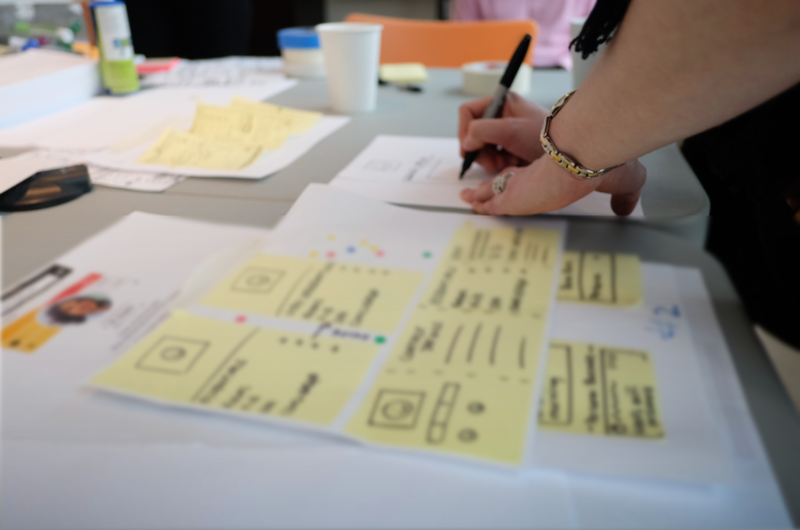 I find personas work best in combination with other UX artifacts, such as experience maps, to evaluate customer insights and align business and user needs. As digital environments become more personalized, personas help to illustrate patterns throughout customer segments and align those patterns to the larger experience. This persona is one of four I created in the research and discovery phase of a project for a real estate sub-franchisor. The persona was formed from patterns that I identified during interviews with real estate agents and other members of the industry. Secondary research and analytical data was also used to inform the persona. The purpose of the persona set developed from this project was to help stakeholders and the project team to understand the context, behaviours, attitudes, needs and goals of the end user. Through the personas I was able to identify overarching patterns among all of the audience segments which informed the product roadmap and MVP. 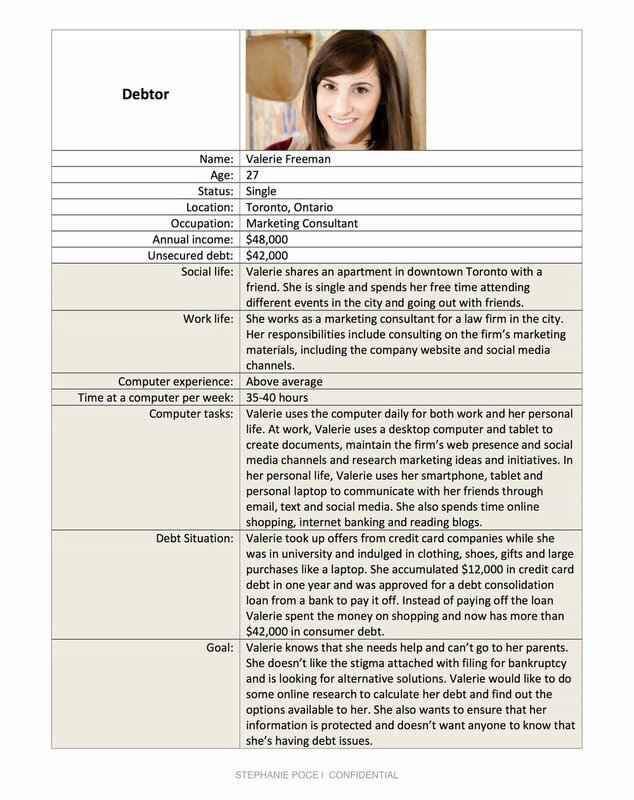 The persona of Valerie Freeman is one of three personas created as part of a content strategy for an Ontario Bankruptcy Trustee Firm. This persona follows the format of a design persona in that it focuses on Valerie's goals. It is based on first-person research and incorporates secondary research around average debt ratios and salaries. The persona attempts to tell Valerie's story in order to help everyone who was involved in the process of re-branding and building an online ecosystem for our client to empathize with and relate to the end user throughout the process. The Busy Mom persona is one of two personas created as part of a marketing strategy for a mobile wallet app. This persona of a busy mom was one of two personas created in collaboration with a strategy team to compare the mindsets of early and mass app adopters. The target audiences were identified using qualitative research data, within those target segments behavioural archetypes were identified. We created the personas based on the behavioural archetypes using secondary research methods. This persona follows the format of a marketing persona. It was created to explain customer behaviour but does not articulate the motivations, thoughts or feelings of the customer. The purpose of the persona was to identify and align with the types of customers that would be receptive to downloading and using a mobile wallet app.